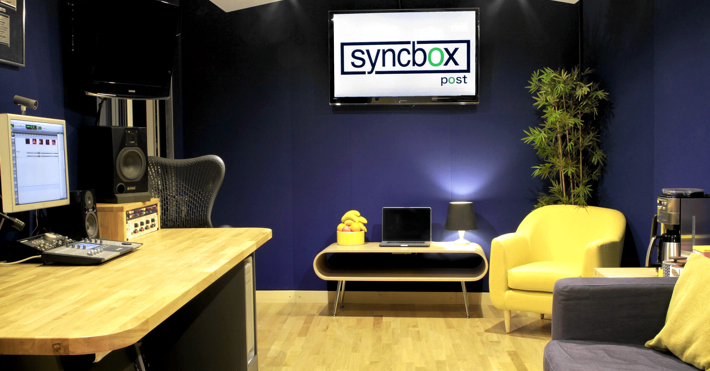 We’ve moved to Clerkenwell. To be precise St John Street, the new home of creative London. Not too far away from Fergus Henderson’s restaurant St. John too. Very handy for the lunch time fix of offal. We’re now situated in a building which has been in the past a gin distillery. It’s now looking much cleaner with the addition of 6 new studios with a further 6 planned for later in the year. Voice Booth. The generous voice booth can easily accommodate up to 5 people recording at the same time. 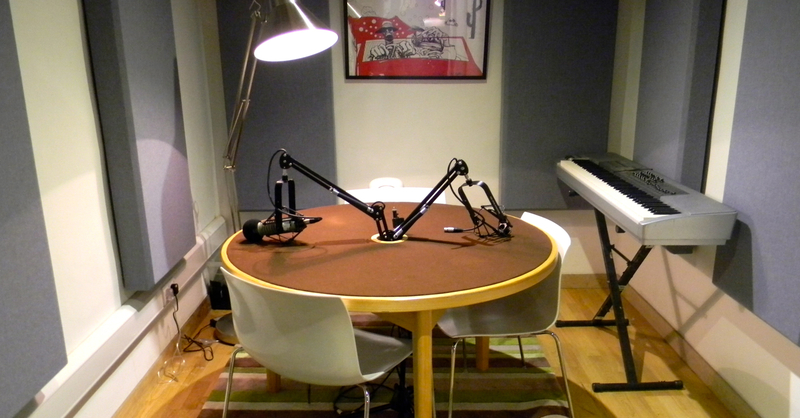 The voice booth is ideal for round table discussions, small cast recordings, acoustic sessions and intimate voice over sessions. It has picture sync facilities and variable acoustic panels to alter the natural sound of the recording. Control Room. The control room accommodates up to 6 clients and a listening experience that is highly precise and comfortable with the help of a very relaxing sofa and an armchair you won’t be able to get out of. We also have a dedicated client Mac, 2 large HD TV monitors, wifi, a huge networked library of sfx, too many Pro Tools plugins to mention and an ISDN system compatible with all codecs including APTx. Formats. Our studio also supports OMF import and export and can record any format at all samples rates up to 96kHz including WAV, AIFF and MP3. We can also transfer all audio to anywhere in the world via a secure link.